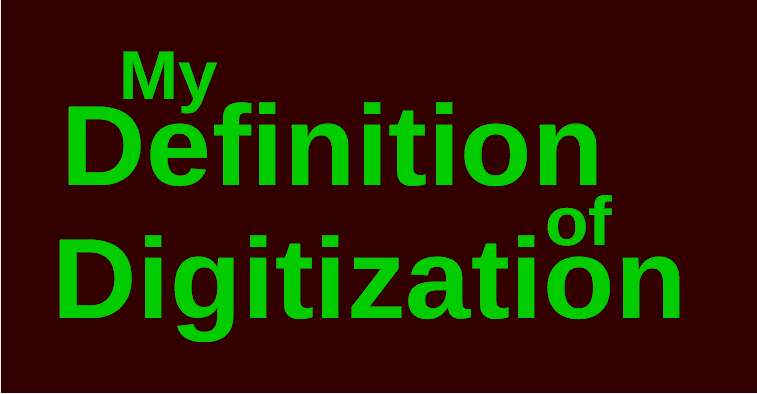 Digitisation is the optimization of existing processes and the creation of new processes with the goal of reducing costs of existing and enabling of new business models using the latest digital developments, especially artificial intelligence and (in connection with) extensive sensor technology (Internet of Things). An essential side effect of digitisation is the marginalisation or even abolition of previously established occupational profiles, which until now have formed a fixed (cost) component in the process and value-added chain, but which can – and must – be dispensed with if the above technologies are to remain competitive. Examples of professions marginalized by digitization are e.g. clerks in all industries who are primarily involved in routine tasks „e.g. tax consultants, TÜV engineers, architects, lawyers, real estate agents and auditors.